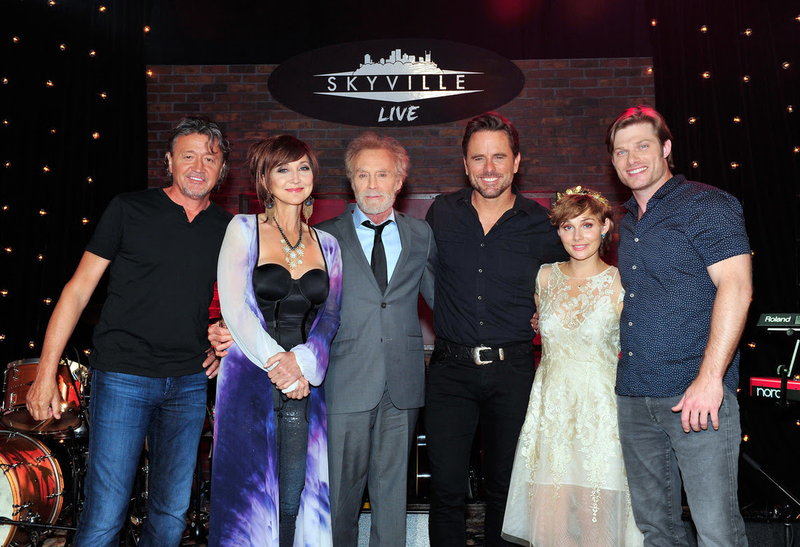 On July 13, the Emmy-nominated, groundbreaking online music series Skyville Live saluted the magic of Music City with an unforgettable concert showcasing Nashville mainstays alongside fresh faces in town including Clare Bowen, Chris Carmack, Charles Esten, Lennon & Maisy, Mark Collie, JD Souther and Pam Tillis. If you needed yet another reason to love this creative city, this impressive lineup offered just that. “I don’t know where there is better music in Nashville,” gushed Tillis. Simply oozing with talent, each artist commanded the stage with high-energy performances of their original music mixed with fan-favorite covers to the sheer delight of the adoring live audience. Carmack stunned the packed house with an electric guitar-heavy tribute to his idol by serving up a jaw-dropping rendition of B.B. King’s classic “Sweet Little Angel”. Another highlight of the stellar night included songwriting great Souther, as he made it hard not to sing-along to his iconic “Heartache Tonight,” first made famous by the Eagles. The performers were supported by renowned musicians including Jon Conley (guitar), Chad Cromwell (drums), Kenny Greenberg (band leader/guitar), Steve Mackey (bass guitar), Mike Rojas (keyboards), Justin Schipper (guitar) and background vocalists Perry Coleman and Tania Hancheroff. For music lovers worldwide, this episode streamed live exclusively on AOL.com, RatedRed.com and go90, a free mobile video platform available across all wireless carriers. To access go90, simply download the app via the App Store or Google Play. Featuring the world's greatest artists spanning generations and musical genres, Skyville Live is a once-in-a-lifetime experience for performers and audiences alike. Each episode is recorded with full HD video in front of an intimate studio audience in Nashville and live-streamed around the world. Thanks to its reputation for inspiring creativity and magical on-stage moments, the show has become a destination for the biggest names in music: Since debuting in January 2015, Skyville Live has welcomed artists like Billy F Gibbons, Cyndi Lauper, Kris Kristofferson, Jason Isbell, Gladys Knight, Lady Antebellum, Little Big Town, Taj Mahal and many more. 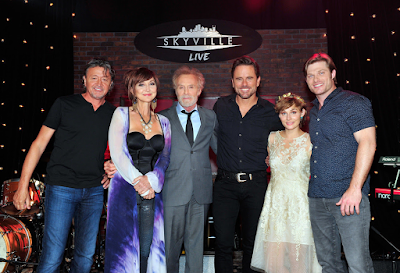 Skyville Live is produced by famed songwriter, producer, and Grammy nominee Wally Wilson, and is executive produced by Tisha Fein and Bryan Lee.